As a Family History Consultant you are the key to helping members with their Family History and Temple Work. By the time you finish your training you will be an incredibly valuable resource to the members of your ward family. As you engage in your calling, your job is to help and assist your ward members — to help them identify their ancestors, link those ancestors into families, and provide temple ordinances for them. You are their principal source for family history help. Receive their own temple ordinances and teach and encourage immediate family members to receive them. Hold a current temple recommend and, where possible, attend the temple regularly. 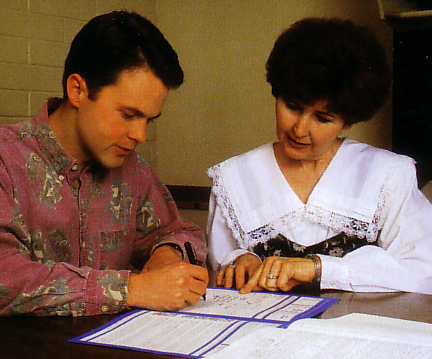 Participate in family history work and provide temple ordinances for their ancestors. Your job is to assist them with the third item on the list. And, as you do so, you’re entitled to the Lord’s blessings and guidance as indicated by President Monson below. It’s our sincerest hope that you receive much joy and fulfillment as you pursue and magnify your calling. May the Lord bless you as you fulfill your calling.